We officially announce the project commencement of the Asylum, Migration and Integration Fund (AMIF) project titled – ‘Migrants’ Integration through Volunteering Activities’ (MIVA). 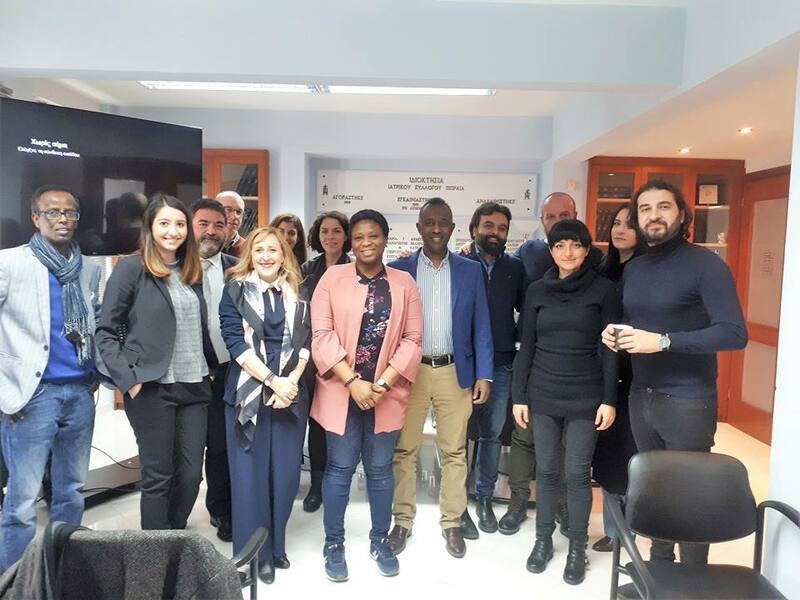 The project started with the kick-off meeting held in Piraeus, Greece on February 13-14 2019. All the consortium partners attended the meeting to deliberate on the best strategies towards the implementation of the project. The objective of this project is to promote the implementation of interactive activities to increase the integration level of TCNs’ participation in the social and cultural life of the host community, the volunteering sector and to foster capacity-building of local communities on successful integration actions for the target group. This will be done via various activities throughout the duration of the project i.e. cross-cultural activities, INDIGO solidarity platform, capacity building workshops, dissemination activities etc. The project aims to tackle the migrant integration issue by providing opportunities for volunteering which in turn may lead to opportunities for engagement in the working life of the host community as well. Volunteering helps an individual to meet people, to better understand life in the host country and improve skills, while contributing to others and integrating into a new environment. Immigrant volunteering illustrates the value and special characteristics of immigrant social participation. The above gap is the one the project aims to fill in by utilizing the INDIGO solidarity platform and app, developing capacity building programmes and introducing cross-cultural activities which will enhance interaction between third country nationals and locals. The project target groups include TCNs, volunteers, trainers, governmental authorities at all levels, migrants’ organizations, policy makers, training providers, public, NGOs. The total number of people, who will directly and indirectly benefit estimated at approximately 50000 people. MIVA consortium consists of seven (7) organisations from 6 different European countries (Greece, Cyprus, France, Italy, Poland and Finland). The Initiative is supported by EUROPEAN COMMISSION DIRECTORATE-GENERAL MIGRATION AND HOME AFFAIRS.